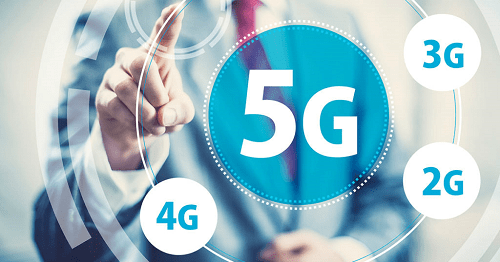 Since 5G won’t be fully functional until 2020 when the standard is to be completed, the installation of small cell and DAS will be far behind the adoption rate of wired broadband. According to Primex, device compatibility, service flexibility, security, and service coverage could slow the 5G revolution. If you’ve been reading the headlines about the 5G revolution and imagining smart home installations free of splicing and connecting cable, think again. 5G isn’t going to replace wired internet anytime soon. 5G is the 5th generation in cellular networks. The first generation began in the 1990s when cellular networks were being established. The second generation began with the first text messages. The third generation was marked by the first phones that could browse the internet. The current 4G period has seen faster, more reliable cellular networks, and phones that can stream content like Netflix. 4G and 5G are essentially standards for speed and connection. Many providers have difficulty achieving the standards for 4G, so they have added LTE (long-term evolution) to their network description. Using LTE allows them to say that they intend to deliver the speeds required to be 4G. LTE is used in much of the discussion around 5G as well. 5G promises cellular networks that can accommodate widespread implementation of the Internet of Things (IoT). Verizon has said that their 5G network will be 200 times faster than their current 4G LTE network. That speed could compete with wired broadband, but there are many reasons that 5G won’t replace fiber and copper cable anytime soon. Device compatibility, service flexibility, security, service coverage, and timing are factors that will slow the so-called 5G revolution. There are billions of Wi-Fi devices in use today: PCs, tablets, TVs, printers, sound systems, smart home devices and more. Even smartphones that are designed to use cellular data have a built-in preference for Wi-Fi. Delivery of Wi-Fi is flexible. Your customers can purchase it as a service delivered to homes and offices via fiber and coaxial cable. They can get it as a free amenity in hotels or restaurants. They can buy Wi-Fi time when traveling. With cellular networks, subscription and service models are the only option. Broadband is considered more secure for direct peer-to-peer file sharing and communications. Businesses have established secure Wi-Fi for local area network (LAN) integration. Convincing these users to switch to a cellular network could be a challenge. A well-designed internet installation will ensure that there is Wi-Fi coverage everywhere in the home or office — even below ground level. Cellular networks can only offer that degree of service by adding small cell or distributed antenna systems (DAS). A small cell is a low-power access node that covers from 30 to several hundred square feet. Small cells enhance the coverage of the larger cellular network effectively bringing it closer to the user. A DAS operates at a system level, can work with multiple service providers and is designed to deliver services for up to 1,800 users across distances of several miles. Small cell and DAS could solve the problem of coverage, but the installation of these services will take a long time. And while cellular providers are busy increasing their coverage and implementing 5G, internet providers are delivering faster and more reliable networks. Another consideration is that the reports on speeds possible with 5G may not be reliable. Some testing is being done indoors without much of the inevitable channel noise and transmission issues. Even with these limitations, 5G does have the potential to reach rural locations before fiber does, which would mean homeowners and businesses could take advantage of smart devices and home automation. This could take the pressure off of internet service providers to lay cable in rural areas. This article was provided to CE Pro by Primex, a plastic enclosures manufacturer supplying copper, coax and fiber products to integrators and builders.